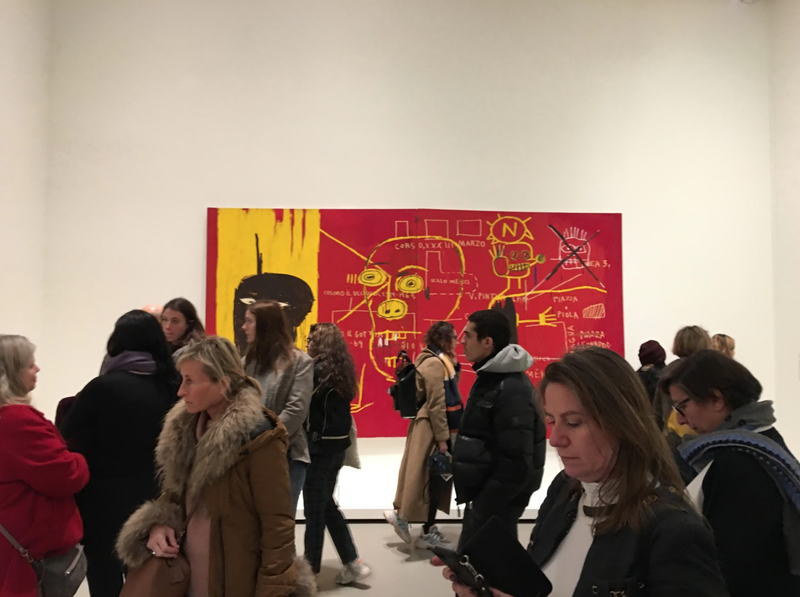 I recently moved from Boston to Paris for a semester abroad in pursuit of an Art History degree, yet never imagined I’d find myself in this time of transition at one of the largest Jean-Michel Basquiat retrospective exhibitions of the 21st century. I traveled all this way to find myself in a four story collection of an American, New York born 20th century street artist in Paris; I couldn’t help but feel the irony of the moment. The exhibition was overwhelming—Basquiat is known for his dynamic urban style, crafted in the cultural splendor and suffering of 1970’s Lower East Side Manhattan. Abstracted figures and faces fight for your attention in his works, floating words and numbers and codes beg for understanding. Some of his critique was transparent: he explored the dichotomies of wealth and poverty, cleverly depicted painful elements of African-American culture in a world saturated by white artists. Other messages were hidden, requiring careful readings of text and unraveling of comments suggesting internal conflict and the quest towards individual truths in the wake of colonization. There is, illuminated by Basquiat’s own works, an exploited intimacy that shadows his platformed power. As spectacular as the massive retrospective felt, the messages Basquiat put forth about black exploitation by institutions, the commodification of minority artists, and his confusion in the modern art market resonated most ironically within Frank Gehry’s crafted walls in a wealthy art foundation. 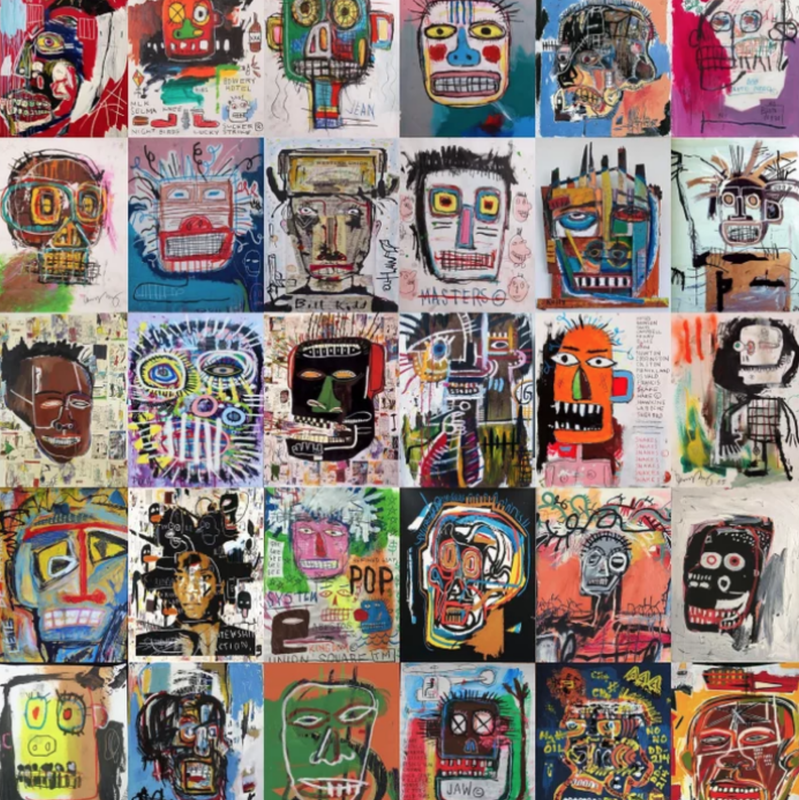 In the crowded galleries of the Fondation Louis Vuitton, Basquiat’s work demanded to be decoded by the individual spectator but his messages felt understood by few. Thus, what inspired me about the exhibition was instead the comfort it gave me in such a classical and pompous metropolitan city: his works, even within the white cube and elegant frames, behold the immanence of streets and urban culture. Doors and brick walls woefully ripped out from his studios reminded me of street art in New York and Boston, from Brooklyn to Allston. The character of the irrepressible, the immutable, moves from the artist onto the material world around him. As informative as a retrospective may be and interesting as it is to see doors and planks hung alongside canvas and drawings, the character of Basquiat is best experienced in the street art of the unknown. I couldn’t help but think of my inebriated times in Rat City, seeing the illustrations and code on mailboxes, windows, lampposts, or roadside curbs with something to say (or nothing at all!). 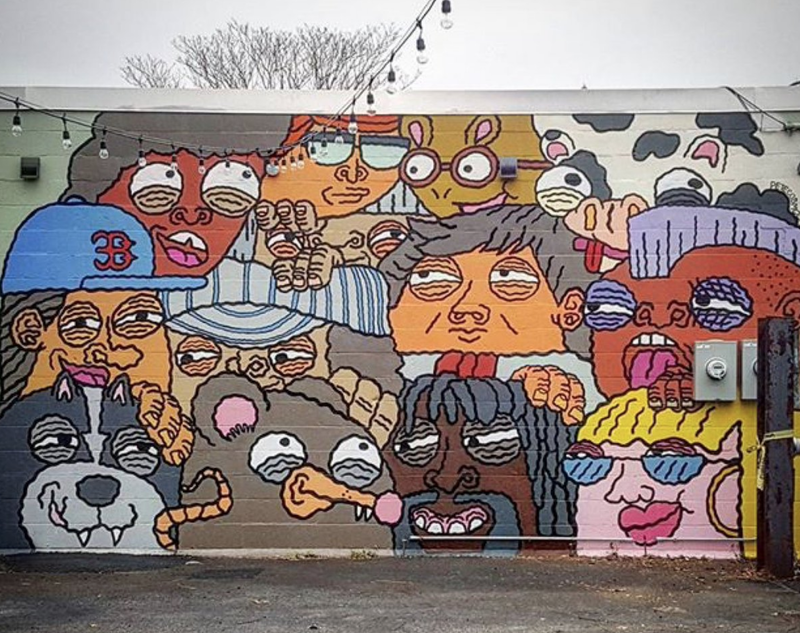 Basquiat’s warped heads and faces reminded me of the curious Faces of Allston by Boston-based Pete Cosmos, which enthralled my gaze on my daily commute. All this to say: The intimate and creative experience of powerful art and raw urban design can be experienced everywhere from Basquiat in Paris to the streets of Boston, you just have to look beyond the white walls. More information about the exhibition can be found on the website of the Fondation Louis Vuitton.